River North Brewery & Taproom is located in Denver, CO. a few blocks north of Coors Field in the ballpark neighborhood. The area around River North is a fun, lively and popular area with many breweries, galleries and restaurants close by. This area, called RiNO (River North Art District) was once a rough, mostly abandoned part of Denver, but has been transformed with redevelopment. RiNO includes many 100+ year-old brick buildings that have been renovated, giving the area a historic look and feel. River North was started by Matt Hess, a former Engineer for Lockheed Martin. Matt was tired of the “cyclical nature of the aerospace industry”, and wanted to do something different. He had experience in homebrewing, and decided that starting a brewery was his ticket to doing something different. Matt had been homebrewing in 5 gallon batches, then splitting up the 5 gallon batch into smaller 1 gallon batches to try new ideas. Each smaller 1 gallon batch gave Matt an opportunity to tweak his recipes, or to add something completely new. With 2-3 years of experimentation, Matt was able to create some great homebrew recipes that he would eventually use to brew beers at River North Brewery. 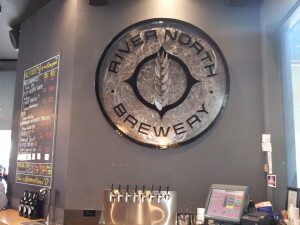 Matt has not only been the driving force behind the beers at River North, he also designed the logo. 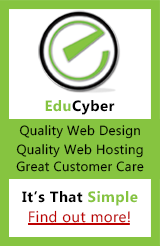 He has done a great job in creating a clean, distinctive brand that is easily recognizable. When he’s not brewing, Matt also handles deliveries and sales, manages the taproom, and many other tasks that arise in the day-to-day process of running the business side of the brewery. Patrick Annesty is the Director of Communications for River North, and was nice enough to give us a tour and share their excellent beers. Patrick joined the River North team just after they officially opened last year. He came to Denver from Ft. Laurderdale, FL., after graduating from the University of Florida. Patrick was looking to move to a fun place with a good beer culture, and Denver was a prime spot for that. After coming to Denver, Patrick visited local breweries hoping to use his journalism and homebrewing skills to help out a local brewer. A few weeks after Parick visited River North, Matt Hess called Patrick and asked for help — opening weekend was bigger and busier than Matt ever imagined! Since then, Patrick has taken on a jack of all trades role, and does a bit of everything. Patrick is Matt’s right hand man, and does everything from generating buzz on social media to brewing to making deliveries. River North officially opened in February 2012. In their first year, River North produced 300 barrels, and made a big name in the Denver community. The business plan for River North was different than many breweries that simply start a taproom and hope to distribute someday. Matt Hess started the brewery with the plan to bottle and distribute immediately. The facility behind River North’s taproom is huge for a smaller brewery, and provides a great deal of room for expansion going forward. If you visit the taproom, you will see just how big River North plans to become. The plan for 2013 is to produce 900 barrels, or 3x the amount of beer River North produced in their first year! Matt Hess enjoys brewing Belgian-style ales, and American style ales with a Belgian twist. River North brews exclusively in the Belgian style, and is dedicated to always brewing quality beers. Ingredients are brought in from the best sources around the country in order to consistently brew high quality, great tasting beers. River North has an eclectic beer list, and does not focus on having all the American style beers that are typical at most breweries. We really enjoyed all of the beers, but especially the BPR (Belgian-Style Pale Red), the Hello, Darkness (Black IPA) and the Unified Theory (Oaked Imperial Wit). Barrel Series No. 8 – Barrel Reserve 2013 (currently available). River North has a membership program for anyone that would like to become part of their local club. The program will be announced in July, and the details for this year are not available yet. Last year, members paid $50 and received a member’s only glass, $4 beers all day/everyday and had access to a special member’s only barrel aged IPA. The program for members will be different this year, but there will be great opportunities to get exlusive access to some cool offerings from River North. Festivals: This only includes a couple that are already booked. To find out about all of the festivals and activities River North will be part of, check out their Facebook, and Twitter pages. We had a great visit to River North, and look forward to seeing bigger and better things from them. They provide great beers, and a fun, laid-back atmosphere at their taproom. They recently opened up a patio which provides a nice place to enjoy fresh air and a little scenery. A great time to head to River North would be before a Rockies game. With the close proximity to Coors Field, it’s only a few minutes walk to enjoy a fresh beer. Thanks to Matt Hess and Patrick Annesty for their hospitality, and for sharing their story with us!